Democratic activist John Bauer dropped his plans to run for lieutenant governor Thursday, setting up a one-on-one race between Republican Lt. Gov. Phil Scott and former Progressive legislator Dean Corren. When he entered the race in March, Bauer hoped to become the first candidate in a decade to take advantage of the state's public financing system, which would have provided his campaign up to $200,000. But on Thursday afternoon, just before the deadline to file as a candidate, Bauer said he'd failed to qualify. "Despite a strong effort from our volunteer team and our friends, colleagues, and allies, we fell short of collecting enough contributions from Vermont voters to qualify for public campaign financing by today's deadline," Bauer said in a written statement. "I am proud that we brought the idea to pursue public financing into the political conversation three months ago. We have spread the word to a whole new generation of Vermonters about public financing and how it works." Without the resources to run a competitive race, the Jeffersonville resident and Spruce Peak Performing Arts Center sound supervisor said he had decided to drop out. 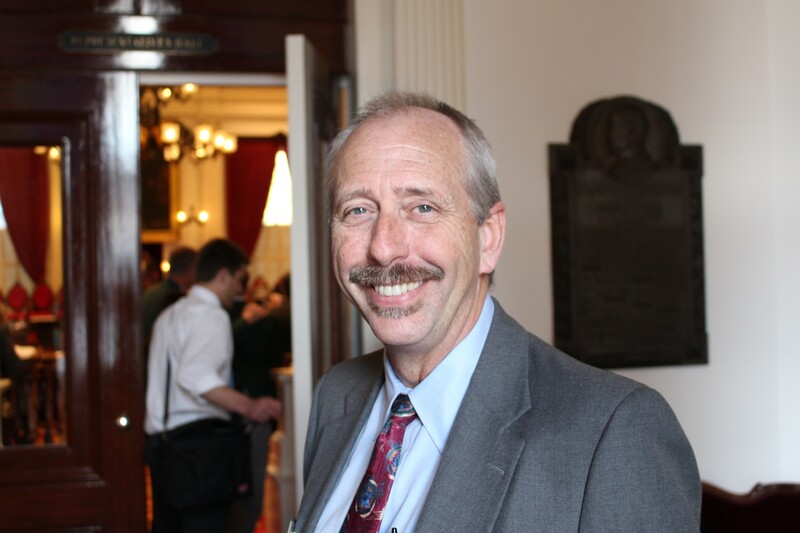 "Were I to run, it would require me to spend more time asking for money than having important conversations with Vermonters about the issues," he said. "This, on top of holding down a full-time job and caring for my father, who has developed health issues during the campaign." In an interview with Seven Days, Bauer added that he did not want to diminish Corren's chances of defeating Scott by splitting the left-of-center vote. Corren announced Wednesday that he had qualified for public financing. "I didn't see a path to victory saying in the race. All I saw was five months of begging people for money. I didn't see myself winning. I saw myself raising issues," Bauer said. "My views and Dean's views are so close together he will be expressing those views himself." In his statement, Bauer appeared to criticize his fellow Democrats for failing to help him qualify for public financing. Candidates for lieutenant governor seeking public assistance had to collect $17,500 in contributions of $50 or less from 750 voters by the end of the day Thursday. "It would have been manageable had we as a party come together to support the goal of public financing," he wrote. Bauer said in the interview that "persistent rumors of a possible primary" challenge against him hurt his chances of garnering Democratic donations, and he said many Dems were distracted by the end of the legislative session and preparations for the party's Curtis Awards fundraising dinner. Bauer would not disclose precisely how much he raised, saying only, "I had hundreds of Vermonters contributing thousands of dollars in small increments." After compensating those who worked for his fledgling campaign, Bauer plans to return the balance of his contributions to those who request a refund. With Bauer out of the race, Scott could face a more potent challenge from Corren, who spent eight years representing Burlington in the Vermont House. While Scott is considered well-known and well-liked, Corren's success qualifying for public financing in just over a month demonstrates clear organizational ability. As one of the only Republicans in the running for statewide office, Scott's chances may be diminished by low Republican turnout.